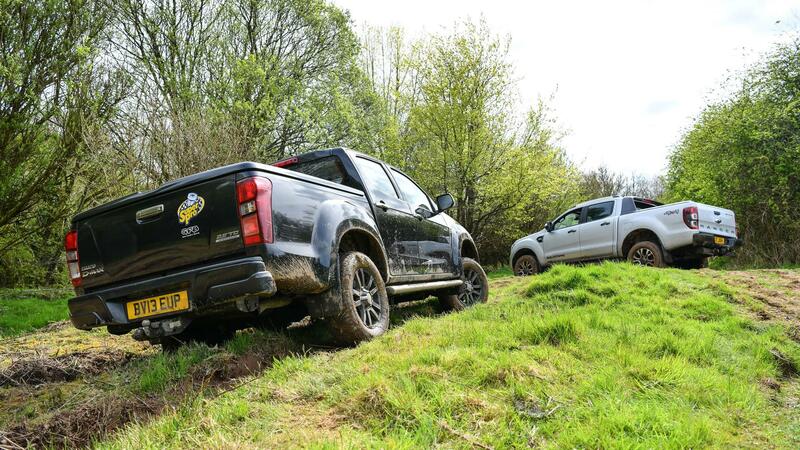 Readers of 4X4 magazine will have seen articles from SuperPro in recent editions that describe the roll-out of its suspension performance programme for pick-ups. This includes a range of upgrade components that not only increase the effectiveness, efficiency and operation of a vehicle’s suspension, but provide greater longevity, improved handling and, in some cases, aesthetical enhancement too. Previous articles have featured easy lift kits, greasable leaf spring shackles and rear anti-roll bars. This month’s product from SuperPro’s ever-increasing range of upgrade parts for pick-ups are its innovative adjustable upper front control arms. There’s no denying that pick-ups are the world’s #1 multi-purpose, multi-discipline vehicle. They are used for a huge range of tasks: from day-to-day, on-road passenger transport, to load-carrying, off-road work horses. Whilst manufacturers do their best to provide and off-the-shelf, one-size fits all product that will deal with most of the situations that are thrown at it, there are occasions where improvements and modifications are required to make the chosen vehicle more fit for purpose. This is where suspension specialist SuperPro steps in with its series of performance upgrades and enhancements for pick-ups. This includes its range of polyurethane suspension bushes, strut top mounts, adjustable link arms, easy lift kits, greasable leaf spring shackles, rear anti-roll bars and now, adjustable upper front control arms. To overcome and compensate for alignment issues due to a change in ride-height, fitting alternative suspension components, or changes caused by excessive wear, SuperPro’s adjustable upper front control arms allow for more accurate wheel alignment and give increased clearance and articulation between the arm and the strut when the suspension is at full ‘droop’. The arms feature a ball joint that can be adjusted even after fitting the arms to the vehicle. This allows various degrees of caster and camber to be dialled in so that suspension geometry can be corrected in line with manufacturer settings. The benefits of being able to achieve this accuracy includes reduced tyre wear, increased grip and the correct level of steering performance. The arms are supplied pre-fitted with market-leading SuperPro polyurethane bushes. Consequently, suspension performance and component longevity are enhanced. If further caster and camber adjustment is required, this can be achieved by fitting a set of SuperPro’s alignment correction bushes to other locations on the vehicle. Their offset centres, combined with the adjustment of the ball joints, provide owners with the ability to correct most caster and camber issues. SuperPro points out that when changing ride heights, depending on the design and capabilities of the standard suspension components, vehicles should not be ‘lifted’ more than 50mm. Over this height, other factors such as the length of brake lines, the angle of the driveshafts and the centre of gravity must be taken into account. SuperPro adjustable upper front control arms are manufactured in high quality steel and are supplied with polyurethane bushes already fitted. They are designed to directly replace the OE standard items and therefore installation is a straightforward procedure.